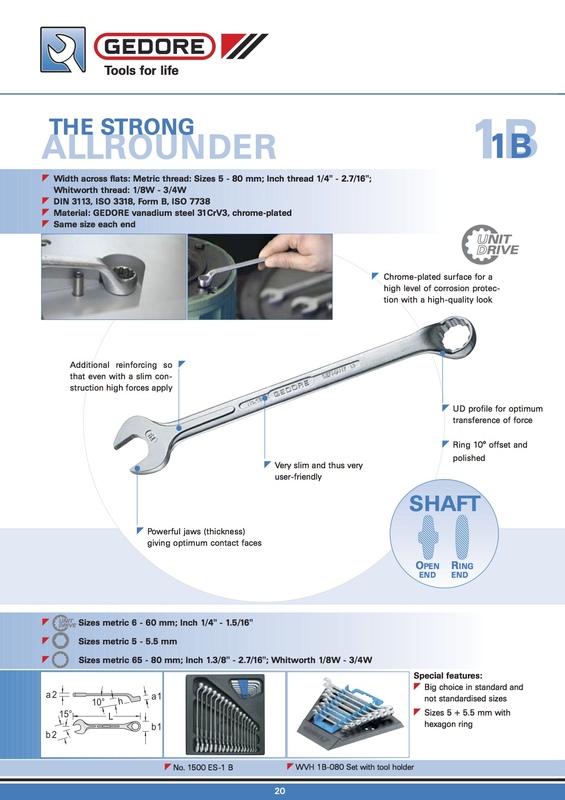 The Gedore 1 B wrenches have a matte chrome-plated finish which doesn’t necessarily make them the prettiest. But, what they lack in aesthetics they more than make up for in ample strength, corrosion resistance, and their relative lightweight due to their slim profile. Being the largest tool conglomerate in the world Gedore knows a thing or two about making a serious, long-lasting tool. These wrenches are great examples of the German craftsmanship by the folks in Remscheid. Be sure to check out KC Tool’s full selection of Gedore Tools.